"This next song's more upbeat... relatively." 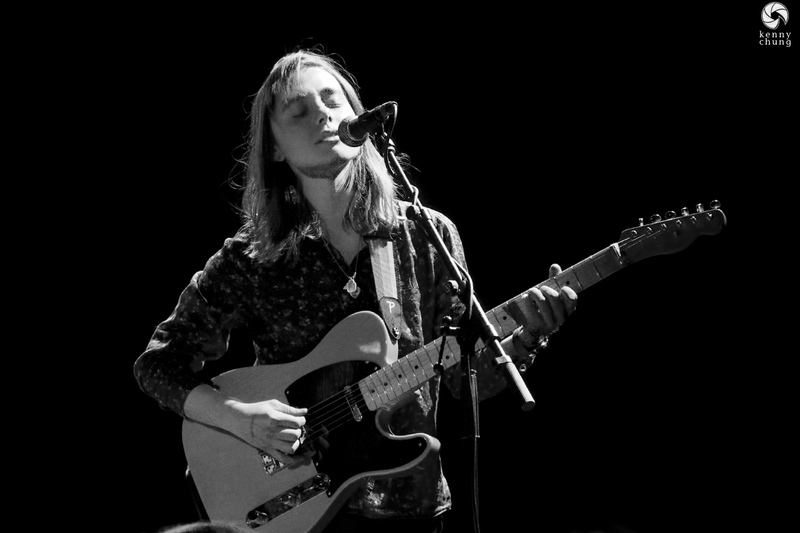 I first heard of Julien Baker via Audiotree's YouTube channel and NPR's All Songs Considered. One listen to her perform "Rejoice" (video to the left) was all it took for me to be hooked and immediately buy a ticket to her upcoming show (the full session is available here). I'm a sucker for sad music, and the rawness of Julien's lyrics and voice instantly made her my new favorite artist of 2016. Her career's just starting - she released her debut album "Sprained Ankle" toward the end of last year at the impressive age of 20 - so there's not much information about her online other than the fact that she holds a peculiar reverence for Dunkin Donuts, as evidenced on her Instagram. I'm looking forward to following the direction of her music. 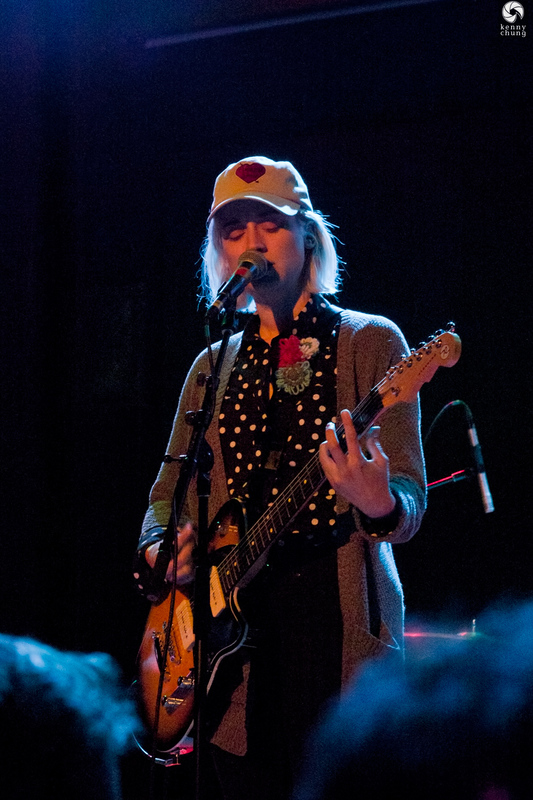 The opening act was Petal, which was a bit confusing as the lead singer/guitars Kiley Lotz introduced herself (and not the band) with that name. A little digging on Wikipedia explained that the Kiley is the only permanent member of the band, and the rest of the musicians rotate in and out. 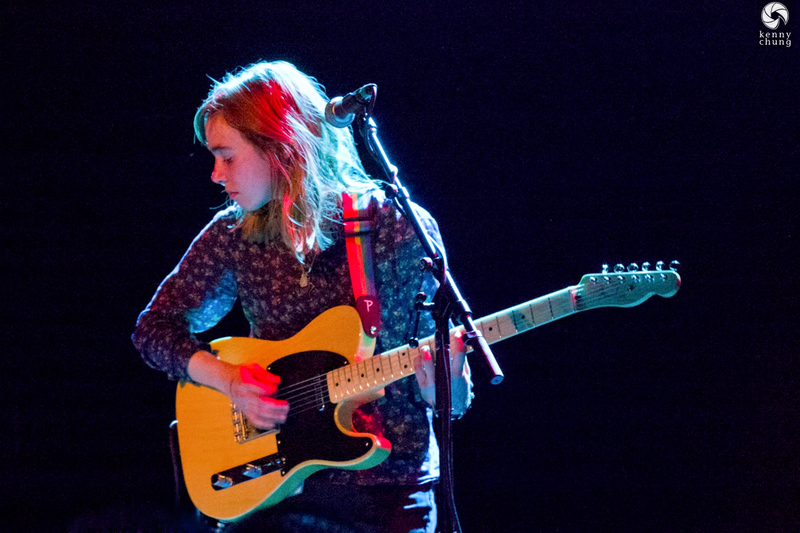 Here she is playing her Reverend Charger 290 guitar. I would describe their sound as pop rock based, and electric guitar-forward. It was a bit jarring to have such a lively and loud opener, considering the tone of the rest of the show, but it was nonetheless fun. 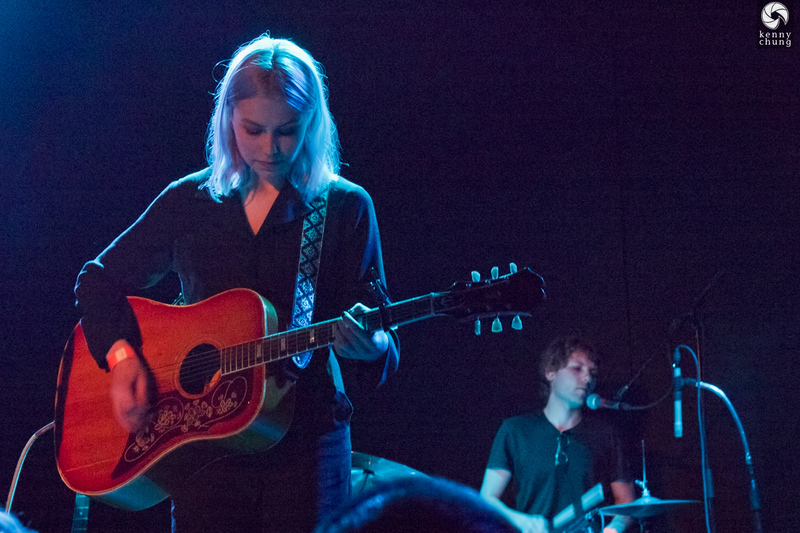 Next up was Phoebe Bridgers. It seemed like the show started out with a ton of people on stage and then was slowly dwindling down until the main act. Phoebe was on stage by herself through most of her set, until she was joined by her drummer Marshall. Her voice was beautiful and her storytelling lyrics were melancholy and painted very descriptive scenes. Her saddest song was about singing at the funeral of a peer and speaking to the deceased father beforehand. Autobiographical or not, heavy stuff. 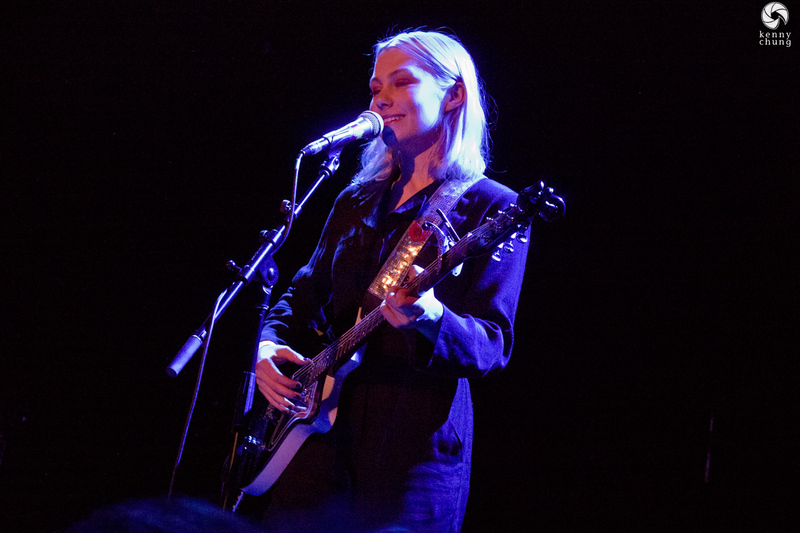 Phoebe alternated between her acoustic guitar (the Epiphone Frontier) and this Danelectro '56 Baritone in sparkle black. Phoebe covered "You Missed My Heart" by Mark Kozelek (of Sun Kil Moon fame), and also played a track from the band she's in, Sloppy Jane. 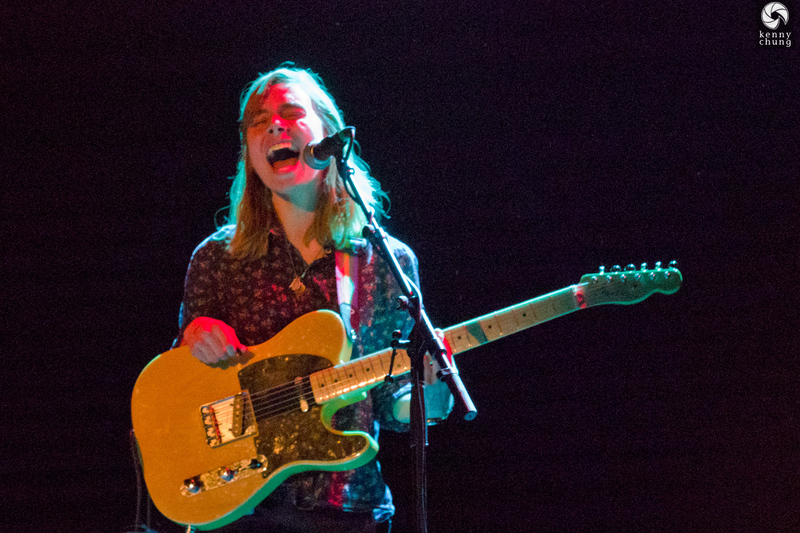 She described it as the band's saddest song, which made it appropriate as an opener for Julien Baker, whose album contains some of the saddest songs in recent memory. 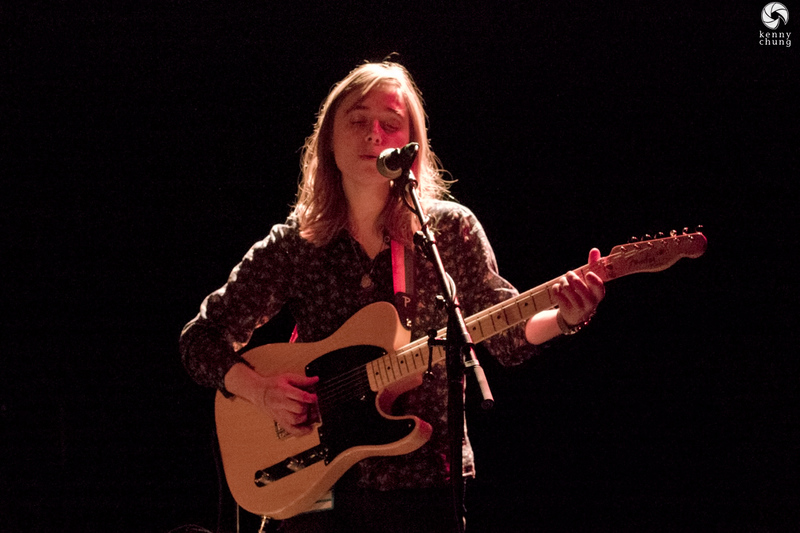 Around 11pm, Julien finally took the stage and dove right into songs from her debut album. Similar to the way the album begins, she kicked off with the track "Blacktop". The entire venue was eerily quiet, from reverence but also from Julien performing without a band. The only accompaniment she had was a pedal board (with a looping pedal) and her Fender amp. You could hear every cough, every camera shutter, and every time the bartenders were shaking ice. It created a very unique and intimate atmosphere. 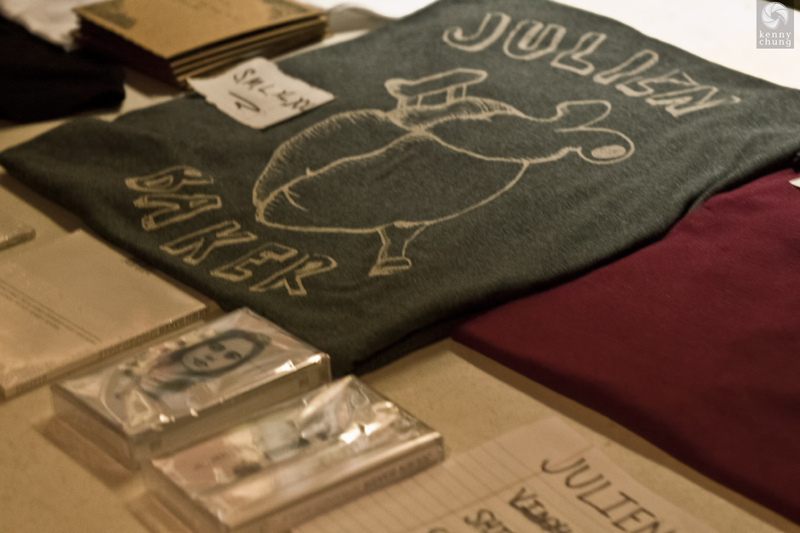 Julien played the eponymous single from her debut album "Sprained Ankle" as her second song. Shortly afterward, she introduced "Everybody Does" as a less sad song, hence the quote at the top of the page. You can also see the permanent marker on her hand, signifying she wasn't of legal drinking age. Crazy that she couldn't legally drink at the club, but was able to sell it out. 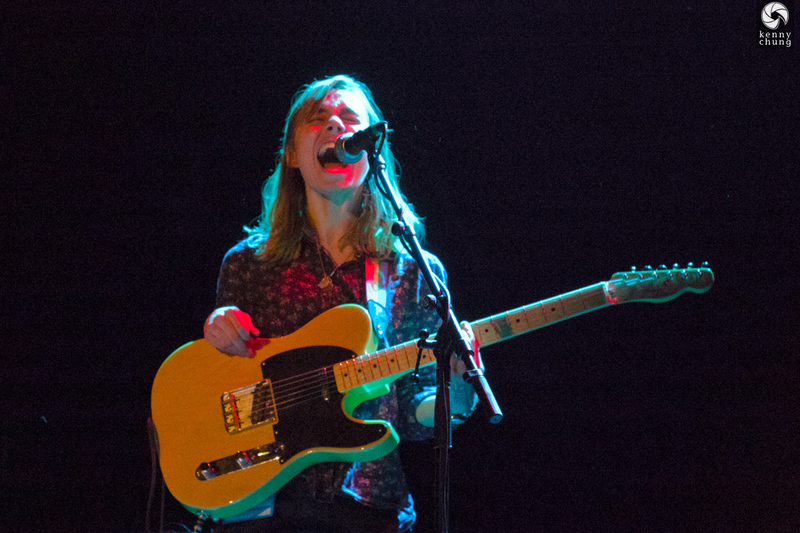 The tone that Julien was able to get from her Fender Telecaster and her Fender tweed amp (not sure what model) were things that all guitarists envy. 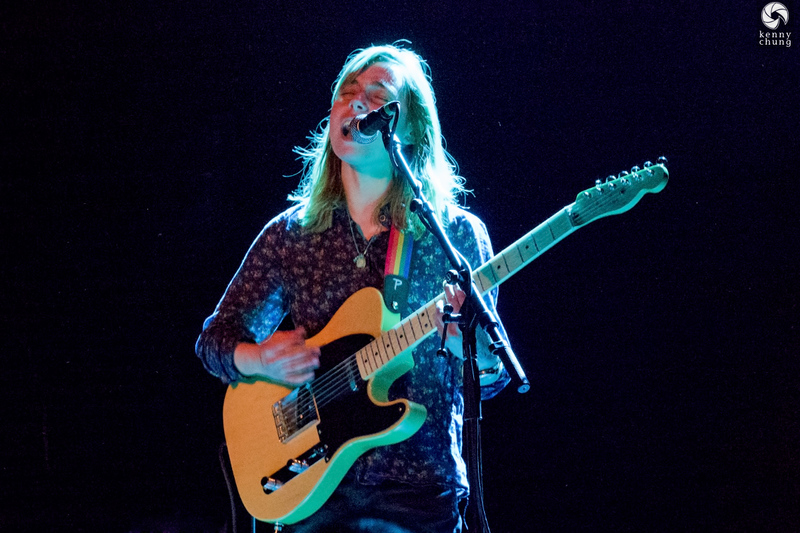 Glassy, crisp, and with just the right amount of reverb from her pedal board resulted in an ethereal sound that sounded way bigger than what you saw on stage. I could listen to the guitars of the track "Vessels" all day (and so can you). There were a few technical difficulties during the show (some loose cables and feedback on her guitar), but she powered through like a pro. 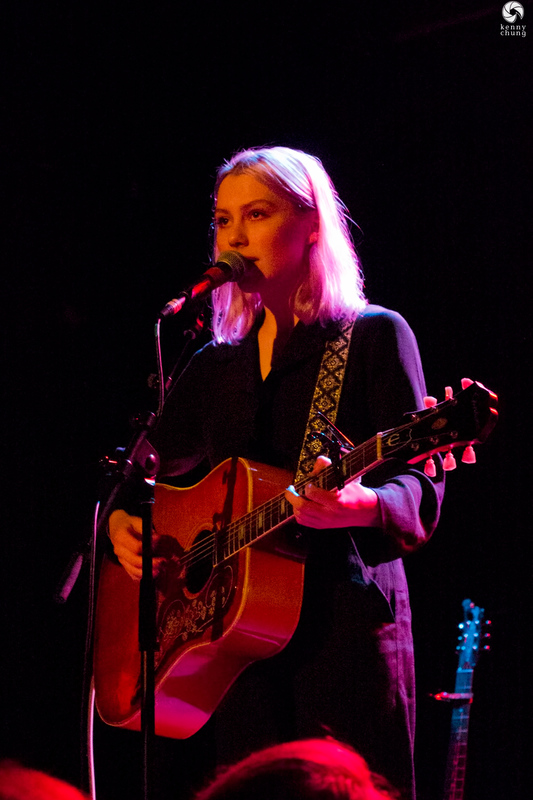 For one of her final songs, Julien brought back Phoebe Bridgers to the stage and they covered Eliott Smith's "Ballad of Big Nothing". 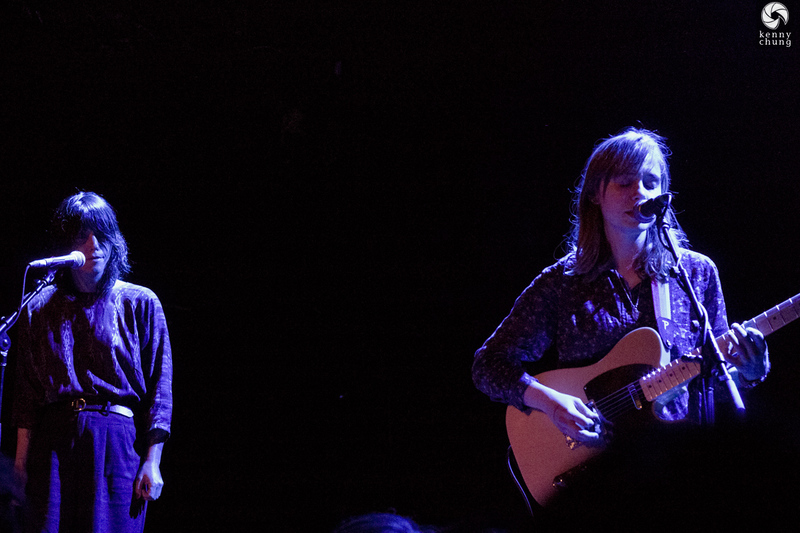 For the encore, Sharon Van Etten made a surprise appearance and helped out with backing vocals to "Good News". After the show, I stopped by the merch table. They were selling "Sprained Ankle" on cassette tape, and I picked up a t-shirt. Behind the table, I spotted a family size box of Dunkin Donuts, and I joked with the merch guy about how much Julien liked Dunkin. He offered me a donut, but I politely declined.